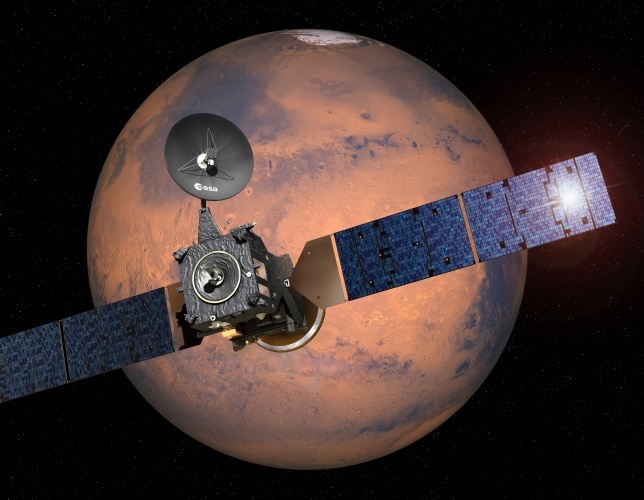 The Trace Gas Orbiter (TGO) component of the ExoMars 2016 mission has successfully entered its orbit around the Red Planet, but contact has been lost with the Schiaparelli lander. 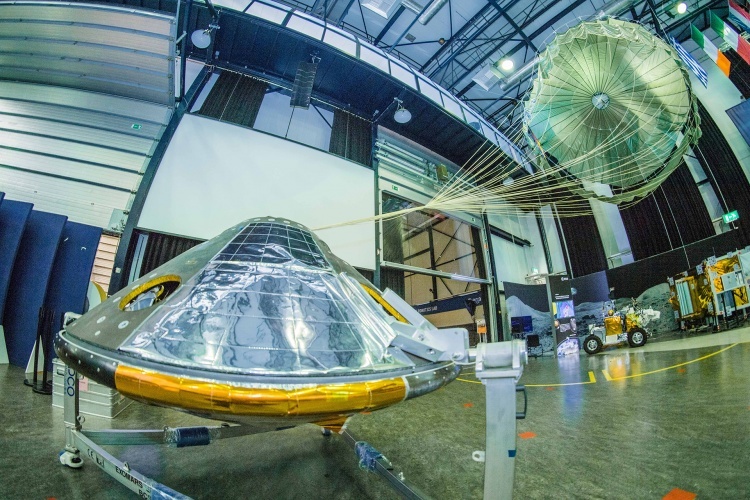 Scientists at the European Space Agency (ESA) are still hopeful of establishing contact with Schiaparelli, which was due to test landing technology ahead of the rover component of the mission scheduled for 2020. Data from the descent has been transmitted back to Earth via the TGO, which ESA is now analysing. Early indications are that the entry and descent stages occurred as expected, with issues emerging after the ejection of the back heat shield and parachute. 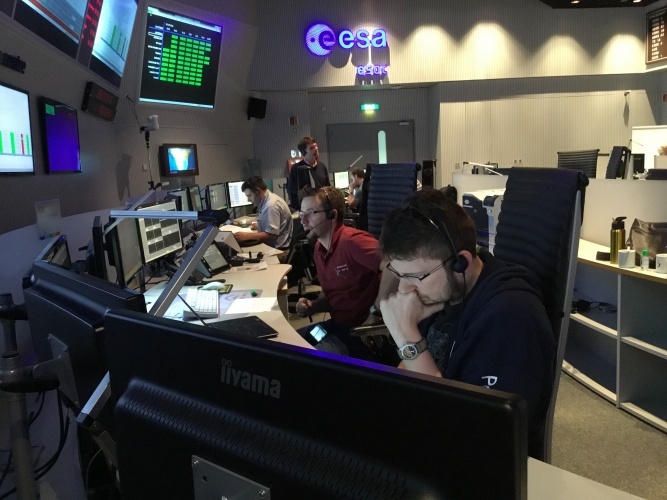 ESA confirmed that thrusters were briefly activated, but says it seems likely that they switched off sooner than expected, at an altitude that is yet to be determined. “In terms of the Schiaparelli test module, we have data coming back that allow us to fully understand the steps that did occur, and why the soft landing did not occur,” said David Parker, ESA’s Director of Human Spaceflight and Robotic Exploration. The 577kg Entry, Descent & Landing Demonstrator Module (EDM) separated from the TGO mothership on 16 October. It was programmed to perform an automated landing sequence, initially deploying parachutes and a heat shield, followed by thruster braking about 1km from the planet’s surface, and a final 2m drop onto a collapsible underside. The ESA had been in contact with Schiaparelli via the Giant Metrewave Radio Telescope (GMRT) in India, but the signal from the EDM’s beacon was lost prior to landing. The GMRT will continue to listen for signals from the lander, as will ESA’s Mars Express, and NASA’s Mars Reconnaissance Orbiter (MRO) and Mars Atmosphere & Volatile Evolution (MAVEN) probes. If it is functional, Schiaparelli’s batteries should allow it to operate for between three and ten days. The TGO successfully entered its planned elliptical orbit following a 139 minute burn as it approached the planet. From there, its onboard suite of instruments will study the Martian atmosphere, testing for gases such as methane that could indicate the presence of life. While the scientific payload on the lander is minor compared to that of the TGO, a failed landing will raise questions over the viability of the ExoMars rover mission in 2020. ESA’s last attempt at landing on Mars, the British-built Beagle 2, failed to maintain contact after its descent on Christmas Day 2003, with the mission declared lost in February 2004. In 2015, NASA images indicated two of the lander’s solar panels had failed to deploy, blocking Beagle 2’s communications antenna.